Get the Premium Theme for Free!! Made with full responsiveness and with your love with this Theme. 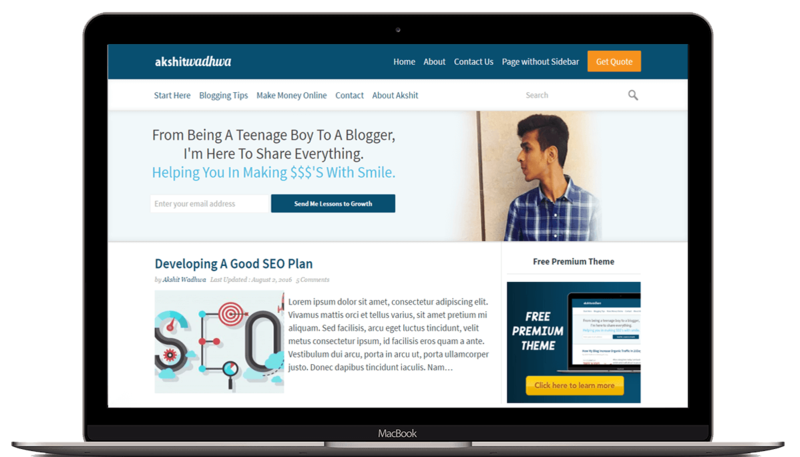 Theme is SEO friendly and have specially made for Bloggers, SEO Consultants. We love to support you if you get any problem in this Theme. What others say about this Theme? A good theme with a perfect layout is the backbone of any online business. This theme proved to be a good choice. 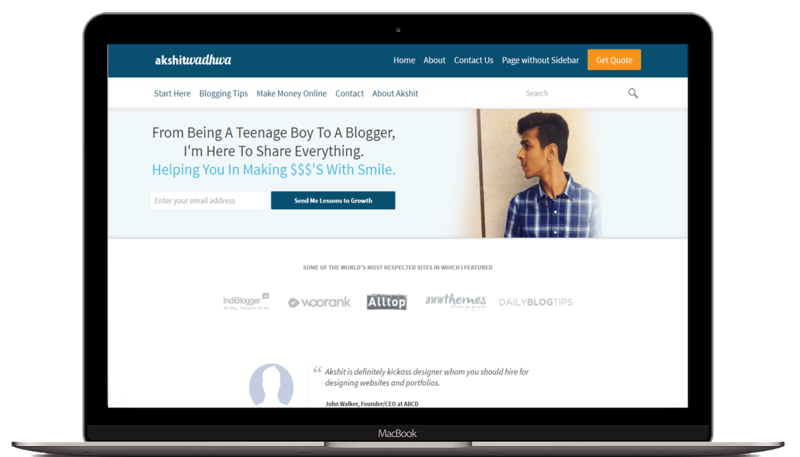 The color combination, font selection, a nice looking optin form at the home page made it a best choice for a professional blog. Akshit did a fantastic job by creating this Fast and Premium theme. I personally tested it and Using it for my Personal portfolio. I'll make that live later. AkshitWadhwa Theme is a premium theme used by professionals. It is Light, Fast & Responsive. One more thing you don't have to worry about SEO. Yes, It is an SEO enabled theme. Thanks to His and His Services. BloggersPassion was running on the same theme for the last 4-5 years. Lots of my blogging friends had suggested for bringing in a new theme for BloggersPassion and I also had the same view to take it to the next level. At that moment, I was introduced to Akshit by Jitendra. Akshit is a great guy who knows his work and I’m really satisfied with the new design done by this little champ. Subscribe Here to Get Premium Theme for Free!! LIMITED OFFER! !